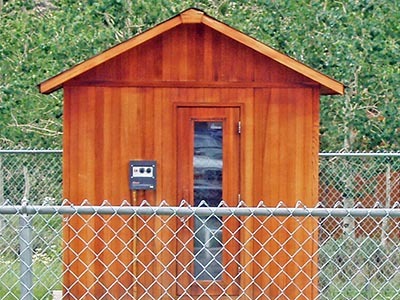 The Bunkhouse Sauna is generally used by guests staying in the Dorms of the Bunkhouse or guests Camping in Tent City at Reid Ranch. Guests get sweaty hot inside the hut-shaped sauna. The saunas open at 9:00 a.m. and close at 9:00 p.m. and are considered “free-time” activities.